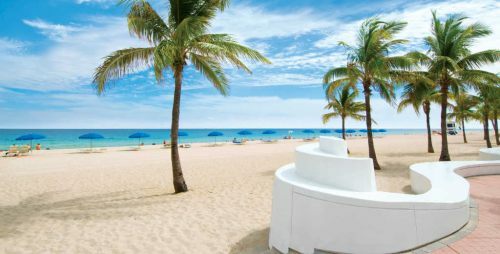 Air Canada Rouge has dropped the price of their August and September flights from Toronto to Fort Lauderdale, Florida down to between $182 and $214 CAD roundtrip including taxes. On Flighthub, these will show up as a 'phone only' fare. When you click on the orange Select button, it will display the number to call (1-800-755-4580). 3. On Priceline, the price will show up as $137 USD roundtrip including taxes. Priceline is *always* in $USD. This will work out to $182 CAD roundtrip when booked using a Canadian credit card, and including the typical 2.5% credit card foreign exchange fee. toronto, yyz, flight deals, united states, florida, north america, air canada rouge, fort myers and rsw.